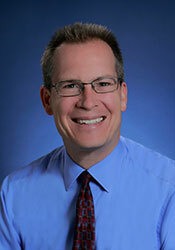 Carson Medical Group in Carson City, Nevada, is proud to have Dr. Brian Hall on staff in our Pediatrics Department. Dr. Hall specializes in Attention Deficit Hyperactivity Disorder (ADHD sometimes referred to as simply ADD) and childhood asthma. Being a father of twins, Dr. Hall understands the importance of effective patient/physician interaction, balancing information without overloading the parents and developing the best treatment options available. He listens to concerns and views communication as an often overlooked component in quality health care. Dr. Hall’s passion is helping children receive adequate health care, especially under privileged children. He dedicates personal time to Friends In Service Helping Ross Clinic (FISH) and has volunteered on several medical missions to Mexico. Additionally, Dr. Hall volunteers and serves on his board at church.